I move very slowly when making a change in endorsements. So it comes with great excitement & much artistic soul searching that I am officially announcing my move to the Heartbeat Cymbal Company from Canada (Handcrafted in Turkey. * More on this later). In my early years I was a Zildjian cymbal fan – not an official artist, but I did love their stuff. 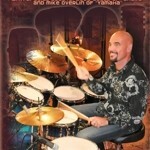 After almost 20 years I made the move to Meinl Cymbals & Percussion. 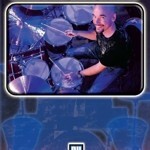 For over 7 years I played their cymbals and I was satisfied with the product and the deal. When Meinl and I parted ways it was friendly. There was just a shift in vision and the endorsee roster. I actually kept using their stuff at my own expense. I liked the products and I did not find anything else I wanted to play. I still use Meinl Percussion instruments. BUT… things do change. As a drummer/artist I was looking for something fresh yet classic. I’ve been playing different cymbal lines as the opportunity arose. Mostly at events where back line (rental gear) was being used. So I had the chance to hear a lot of options for cymbals & drums too. 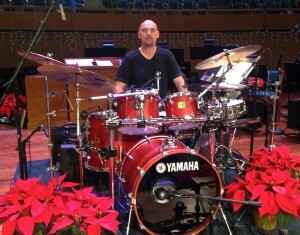 And really for a long time I was not impressed enough to make the switch from Meinl. When the guys from Heartbeat allowed me to try some of their cymbals at the Christian Musician Summit in Seattle I was very interested in giving them a bit of a road test. Noel Walker, the founder & CEO of Heartbeat Distributors was kind enough to send me the set up you see pictured here. I described what I wanted to hear, and he nailed it. I did see & hear a good variety of cymbal designs Noel had at the conference, but I really wanted something classic sounding with a bit of a twist. That is exactly what I got. **The line up in the photo from LEFT to RIGHT: Classic Regular 15″ Hi-hats; Classic 19″ Medium Crash; Custom 20″ Light Ride; Classic 22″ Medium Ride; Classic 18″ Thin Crash; and a Custom Rock 20″ Medium Crash. Finding an old cymbalsmith in Turkey was a brilliant idea. Good job, Noel! Using the experience & skill of this ancient master & his team he (Noel) described what he was looking for in cymbals and they’ve really captured it. Another interesting vision that Noel shared with me is that he really wants to serve churches & worship drummers around the world by developing fresh new sounds in the Heartbeat Cymbal lines. A very noble cause. Even as they work in the world wide market place to offer an excellent product he is specifically targeting the needs in modern worship settings. I look forward to brainstorming ideas with Noel & his team in the future. In this first set up Noel sent me I’ve found some classic old world sounds, with an edge to them, that make them feel modern & fresh. Fantastic! I don’t think it’s a coincidence the series I’m most drawn to is the Classic series that Heartbeat offers, but the other models also have a great match or complement to what the Classics do. Some other things I’m finding with these cymbals is that I can use any of them as a ride or a crash. They have amazing control, and only “explode” as I dig in to them. This is allowing me to have a huge palette of tones for pattern playing, smooth balanced crashes, or just raw bashing explosions. 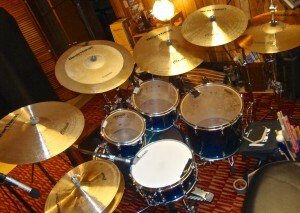 AND this is the first time I’ve used 15″ hi-hats that I really like. Having used them in several concert settings and now on studio projects I was able to give Heartbeat Cymbals a big “thumbs up.” I contacted Noel recently and gave him the word that I’m all in. If you’re looking for something fresh in your cymbal world check out Heartbeat Cymbals. Im Glad you and Noel touched base..He is a good man with a vision and awesome products. Its so crazy how he can listen to what you want and nail it. I was introduced to Noel by my good friend Jay Duncan from Duncan Africa guitars as I was trying to set up the product line I wanted to represent and cary on my web site. Enjoy your new sounds and be well ! Thanks for sharing your experience. That has to be a difficult decision to make; cymbals can be so personal. 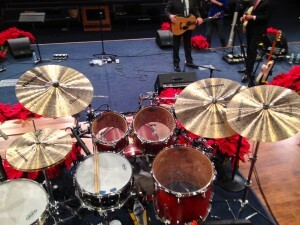 I think I’d (almost) rather change drums than cymbals. I see that your set-up includes 15″ hats. Were you previously using use 13″ Meinls? And, is it Meinl like “mine” or “mean?” I’ve seen the name in print; but, never heard it pronounced.